We know you all love getting involved and updates about home-based businesses and small homely confectioners and creations, so today we have interviewed a local shaker! 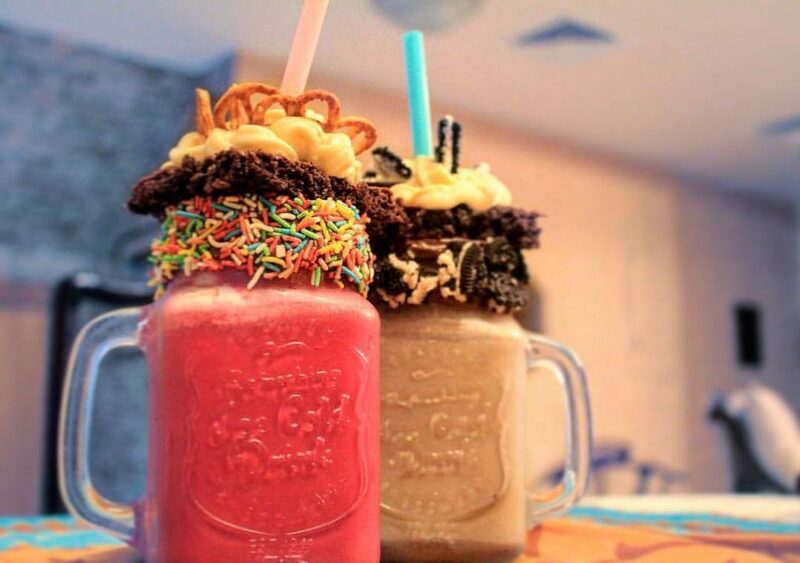 One of the latest crazes in Dubai is these “Monster Shakes”, oversized, over flowed, over flavoured, we love a good monster shake here and we came across some homely ones we couldn’t wait to share them with you guys! We did a short, quick and snappy interview with Saher to keep you guys in the loop! A MUST TRY from us! So, how did you “Meerans Monsters” start? Whats the story? There was quite a lot of buzz in Dubai about These freak shakes and decided to try at home one day. After the day I was invited to a friends place to make these shakes for them and they said they loved it. They had been to restaurants in Dubai and were really disappointed by the quality and taste of the shake. I was encouraged for days to start taking orders from home and in 2 weeks time there I was sharing on my facebook page the idea of Monster shakes. What is your inspiration for the different shakes and what are YOUR personal favourites? I really wanted to attract the younger crowd and the youth, so I picked various names from the pop culture and connected flavours to it. I wanted to have a classic vanilla shake. Red velvet, Cookies and cream and Chocolate are just general popular flavours that everybody devours. My favourite has to be the cookies and cream, Its not too heavy not too light its just perfect. How do you keep your shakes fresh, or are they an on the go, “pick up and drink” kinda thing? 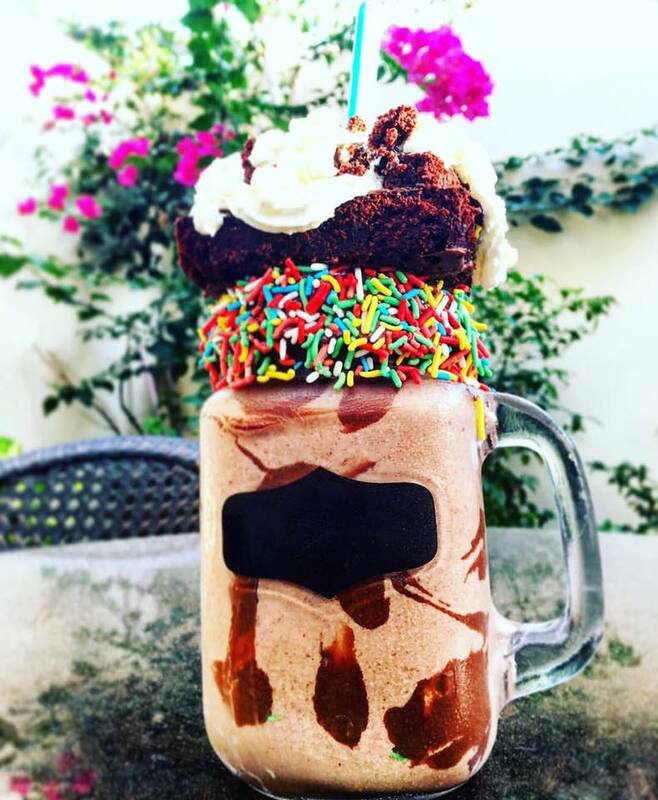 Since the shakes are huge and filled with toppings above the brim, transportation of them is very difficult. And since I operate from home (for now) the only option is pick up. Lucky for me I conveniently live in the center of Dubai Mid way from the extremes. As for keeping it fresh I make sure I make the milkshakes no more than 4-5 hours before to maintain consistency in the shakes. I only decorate and pipe the milkshake 15-20 minutes before. Apart from the home touch, what makes you different from the competition out there, why are your shakes unique? I think I only have focused my efforts on these milkshakes so I can provide better quality and better taste. I let my customers have the mason jars so they can come back for refills at a lower cost. We understand you are still new, what can we expect in the near future? Inshallah, if things go well I’d like to have a small yard sale for these shakes to provide an intimate dine-in session for all my customers. And maybe some time in future have a parlour of my own. How can our readers order? !